The Royal Yacht Britannia was used by Queen Elizabeth II and the Royal Family for over 44 years. Once deemed an official Royal residence it has been used for state visits and official receptions, in addition it has been used for Royal family holidays and for the honeymoons of several Royal couples. 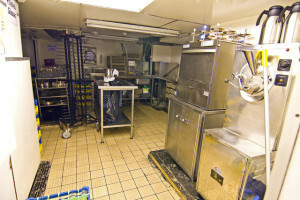 In this post I will discuss the history of Britannia from the time of the ship’s launch in 1953 to decommission in 1997. The Britannia is now a tourist attraction in Edinburgh, Scotland and in this post I will give a brief tour of the ship. 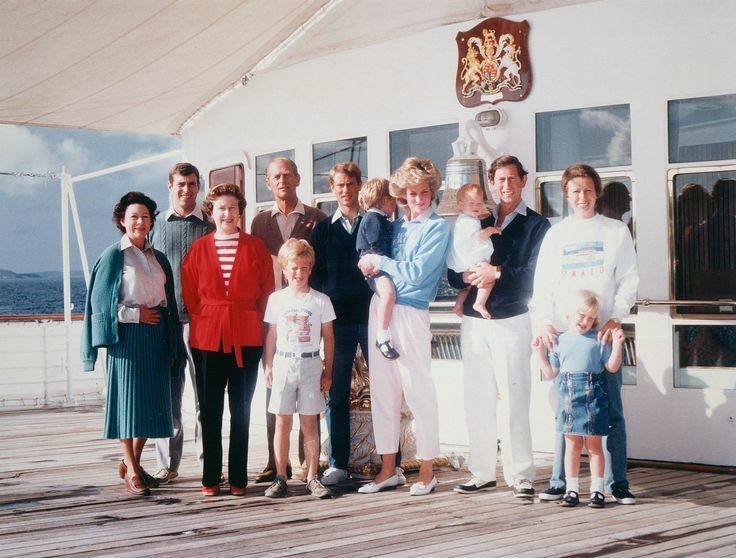 The Britannia marked the end of the long tradition of British Royal Yachts used by the monarch dating back to King Charles II in 1660, to date there have been 83 Royal Yachts. The most recent history of the Royal Yacht, prior to Britannia, goes back to the reign of Queen Victoria when the Victoria & Albert III (the first royal ship not powered by sail) launched in 1899, sadly the ship was completed in 1901 seven month after the Queen’s death. 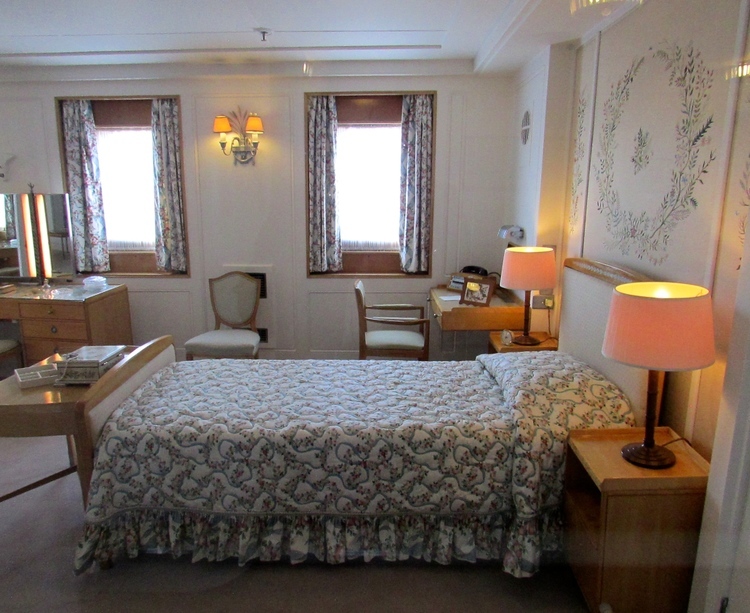 The ship served four monarchs: King Edward VII, King George V briefly King Edward VIII and King George VI until it was decommissioned in 1939, the ship continue in service during World War II and was finally scraped in 1954. 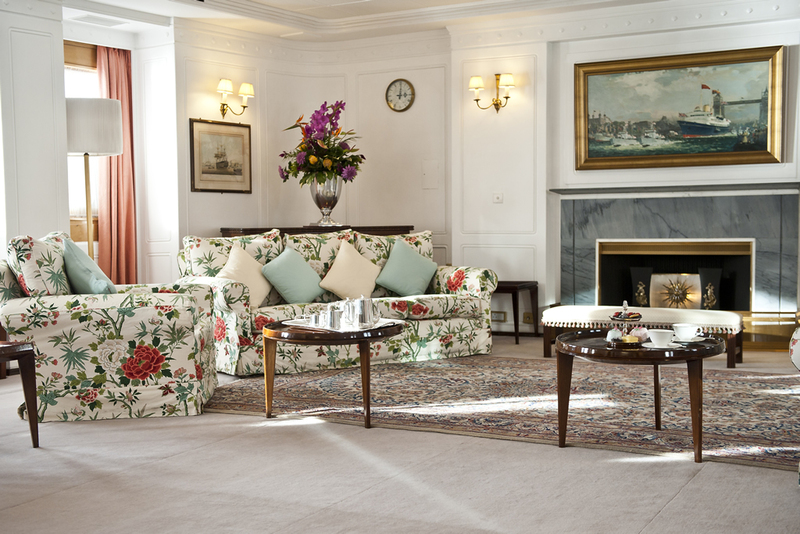 By the 1950s, the Victoria & Albert III had become outdated and King George VI had made the request to Parliament for a more modern ship that could be used for Royal Tours, it would also serve as a type of floating royal residence. 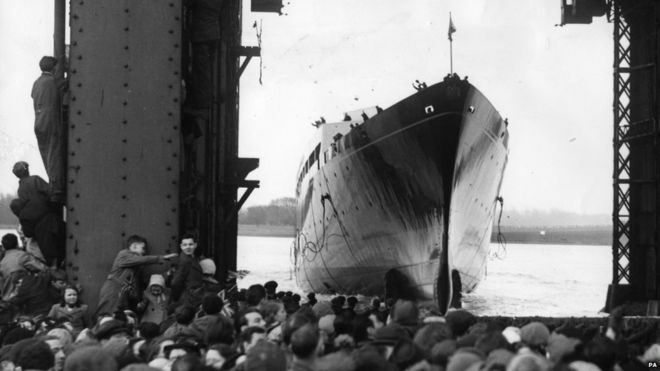 The order was sent to the John Brown & Co. shipyard in Clydebank, Scotland but only the ship’s keel had been laid when the King died and his daughter became Queen Elizabeth II. Work continued and when the hull was completed it was launched on April 16, 1953 and the young Queen christened the new ship Britannia. Afterwards, the funnel and masts were installed and her sea trials were started in November 1953 and upon their completion the ship was commissioned into the Royal Navy in January 1954, it was the only ship in the world whose Captain was traditionally an Admiral. Meanwhile the work on the interior continued and it would be the only new royal residence that the Queen would have final approval on the design and selection of furnishings aided by the British architect and interior designer. 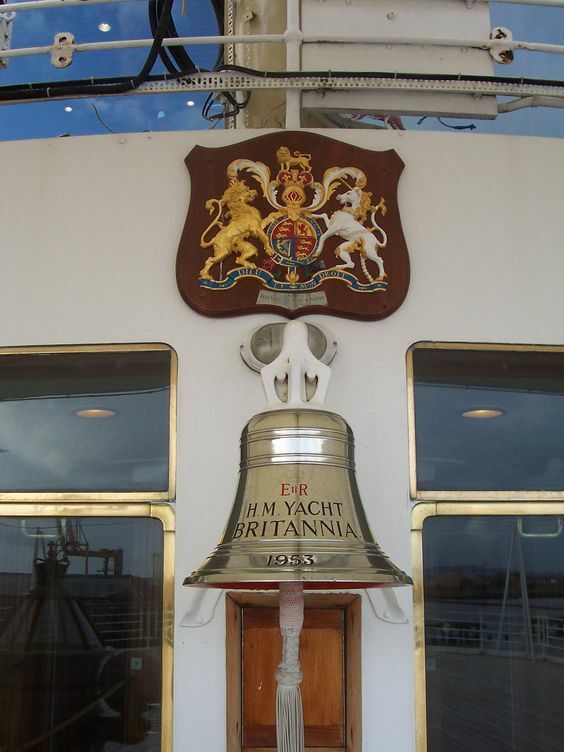 Throughout the 44 years that Britannia was in service it has been used for many State Tours visiting 600 ports in 135 countries logging over one million nautical miles (shown below is a photo of the Britannia in Sydney Harbor, Australia). 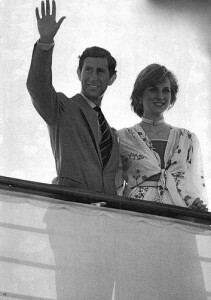 Since it was also a royal residence, the Queen has entertained numerous world leaders, such as Winston Churchill, Rajiv Gandhi, Nelson Mandela and Ronald Reagan. The ship has also been used for the honeymoons by four Royal Couples; Princess Margaret and Anthony Armstrong Jones in 1960, Princess Anne and Captain Mark Phillips in 1973, Prince Charles and Lady Diana Spencer in 1981 (as shown in the photo below) and Prince Andrew and Sarah Ferguson in 1986. 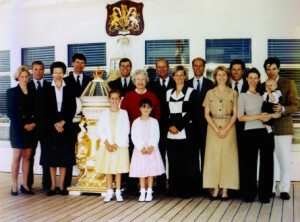 On June 23, 1994 Prime Minister John Major’s announced the decommissioning of the HMY Britannia due to the increasing cost of repairs, there would be no future replacement planned. Finally, on October 20, 1997 the Britannia embarked on one last voyage around England, as the ship sailed passed the John Brown’s Shipyard it gave a blast as a tribute to the place where she was built. Britannia was formally decommissioned in a ceremony on December 11 1997 which was attended by the Queen and members of the Royal Family. 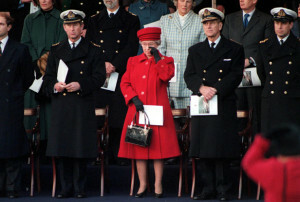 Perhaps remembering the important part that the Britannia played in both her public and most importantly her private life, the Queen did something very unusual and she was seen shedding a tear during the ceremony as the “Highland Cathedral” was played by the HM Royal Marine Band. The Britannia Visitor Center is located in the Ocean Terminal, about two miles from Edinburgh. Visitors will able to learn about the history of the Royal Yacht through several interesting displays, be sure to look for the 11 foot replica model of the Britannia made entirely of Legos! 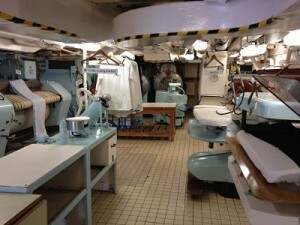 At the Center, visitors will pick up complimentary audio handsets to use for self-guided tours of the ship’s five decks. Special Note: All the clocks on Britannia were stopped at 15:01, the time the Queen was “piped ashore” for the last time in 1997. 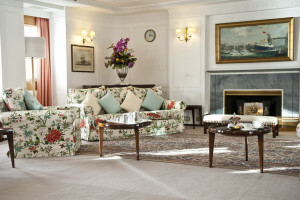 The State Drawing Room – The State Drawing Room is the main reception area of the Britannia and was often used by the Royal Family as well as entertaining dignitaries on State Tours. Please not the baby grand piano that was used by Princess Margaret, Princess Diana and even famous Noel Coward. 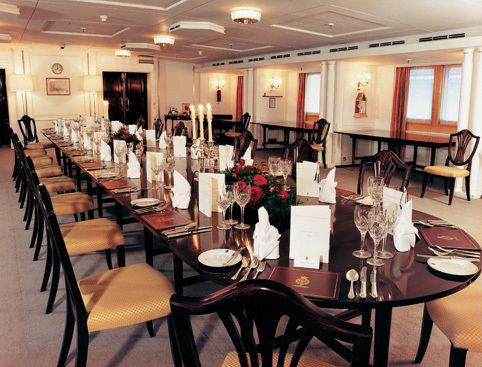 The State Dining Room – Since the Britannia used on State Tours, the State Dining Room was used for formal lunches and dinners with such famous guests as Winston Churchill, Nelson Mandela, Ronald Reagan and Bill Clinton. 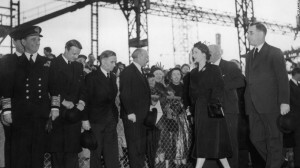 Please note the numerous displays of gifts given to the Queen, most of the items were received on the Queen’s first Commonwealth tour which lasted almost six months. 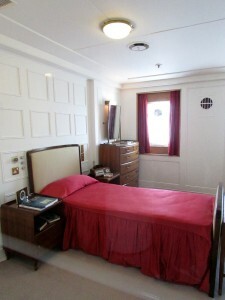 The Royal Bedrooms – The Britannia was considered a formal Royal residence and there are several bedrooms on board, such as Her Majesty’s bedroom and Prince Phillip’s bedroom, as shown in the photos below. Also on board, is the Honeymoon Suite which is the only room furnished with a double bed and was used by four Royal couples. 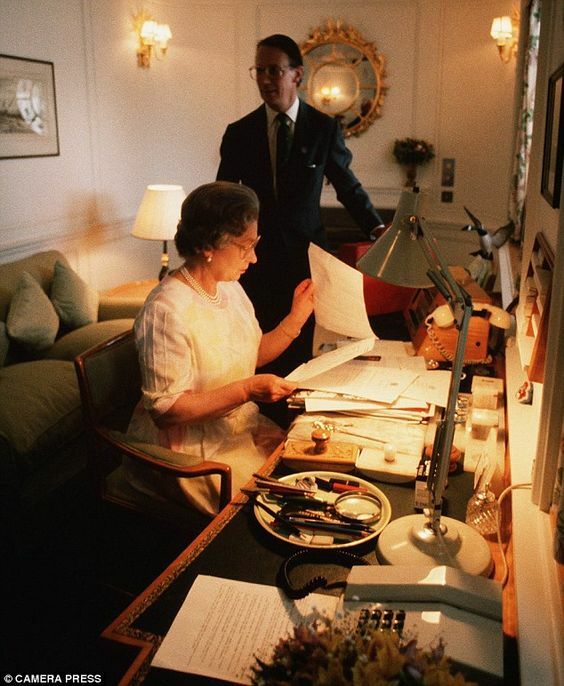 The Queen’s Sitting Room – Even though the Britannia was used by the Queen and the Royal Family at private times, the Queen’s work never stopped and every day she would work on the State papers from the “Red Boxes” in the her private Sitting Room. 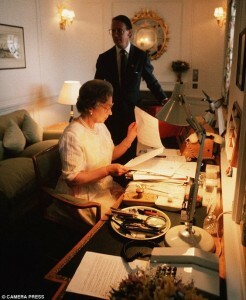 The room was also used to meet with her Private Secretaries. 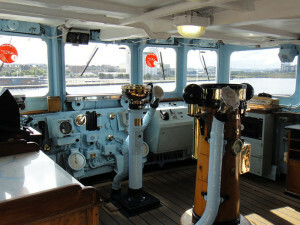 The Bridge and the Wheelhouse – The Bridge of the Britannia was where the Captain and crew would run the ship; traditionally the position of Captain was held by a Rear Admiral of the Royal Navy although the first two were Vice Admirals and the last was a Commodore. Visitors to the Bridge are able to tour the bridge and see all the navigational equipment, but Britannia’s steering wheel in located one deck below in the Wheelhouse. The Laundry – The Britannia had a crew of over 240 Officers and Yachtsmen that changed their uniforms several times a day, an outfit for daytime work and formal uniforms for dinners or more formal occasions. Visitors will be able to view the washing machines, dryers and presses for getting those sharp creases on the pants and shirts! The Galleys – There are actually several Galleys (kitchens) on the Britannia, there are two galleys that prepare the food for the ships officers and crew, also there is the Royal Galley where the chefs from Buckingham Palace were brought on board to prepare her meals. The Royal Galley is located adjacent to the State Dining Room; today the area is used as the Royal Deck Tea Room where visitors can have tea or lunch. 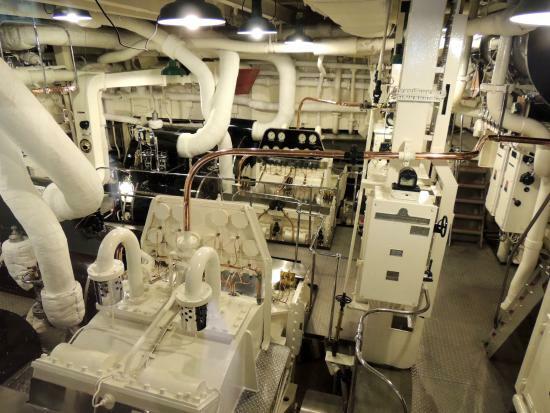 The Engine Room – The Engine Room of Britannia is found far below deck and the engines generate 12,000 horsepower with a maximum speed of 22.5 knots, the Queen was known to bring her quests down to see the Engine Room after dinner. The seemingly antiquated room of numerous chrome dials and two sets of steam turbines were fully functional and normally took eight men to operate the Engine Room and Boiler Room.